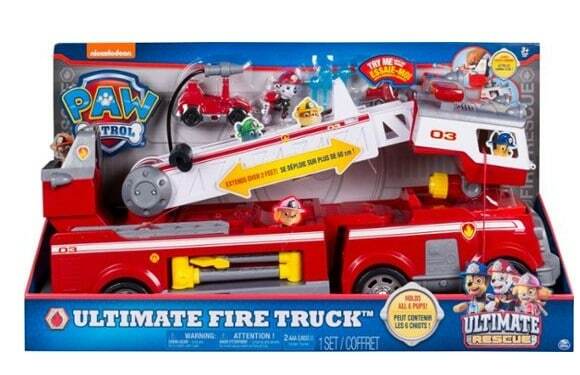 Best Buy has Paw Patrol – Ultimate Rescue Fire Truck for $35.99 (Reg $60) with free shipping. Flashing lights and sounds help every rescue come to life, and the ladder extends 2 feet and rotates to add to the realism. This Paw Patrol Ultimate Rescue fire truck has a mini fire cart stored inside as an extra surprise.